There are an impressive number of website analytics packages out there, with a wide range in price and features. But many of those analytics tools are only available online: you have to log in to a website to get at your data. The options for a desktop-based tool are fewer and farther between, but there are a few useful tools out there. Check out these four options to see if a desktop application will fit the way you handle your website analytics. Available for free, TrakkBoard is intended for heavy Google Analytics users. You do need to be using Google Analytics already, so that Trakkboard can pull down information for you, but you get the added benefit of being able to add multiple Google Analytics accounts to your display. You can compare data between accounts, generate reports and summarize all the details of your different websites in one spot. 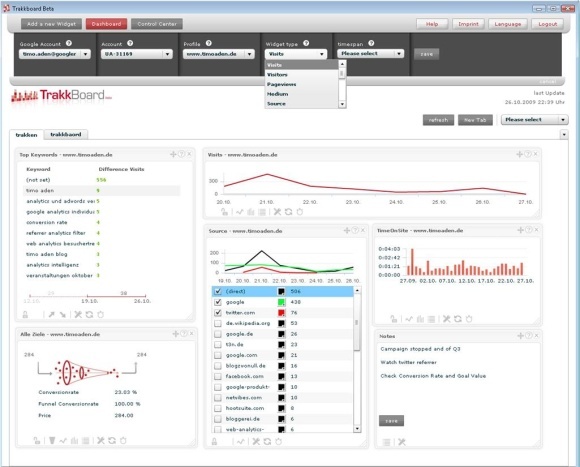 TrakkBoard’s dashboard makes it easy to manage the wide variety of analytics data you have in one spot. Future developments for the tool include making it possible to bring analytics information from other providers in, as well. 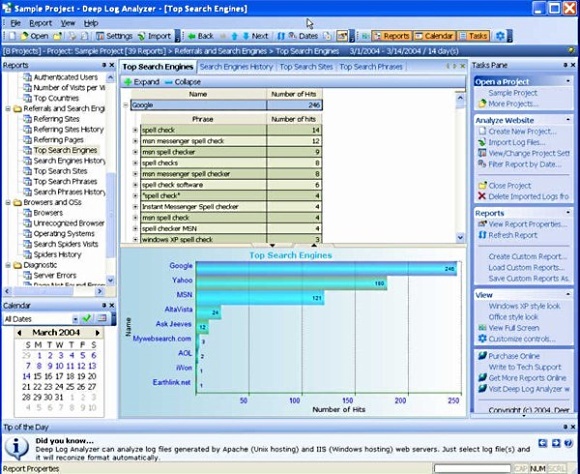 If you routinely need to create custom reports, Deep Log Analyzer is particularly useful tool. It does require a little extra server-side setup, but you get the benefit of being able to store past statistics for long-term comparisons easily. Business owners can take it a step beyond by pulling in CRM or sales data to turn website analytics into in-depth sales information. Deep Log Analyzer is available for Windows, in both a free edition and in a professional edition. The professional version is priced at $199.95, and can be used with an unlimited number of domains. You’ll barely notice Snoop running on your desktop. In Windows, it runs in the System Tray. On a Mac, it runs in the System Status Bar. Whenever something happens on your website, Snoop will notify you with an unique sound. 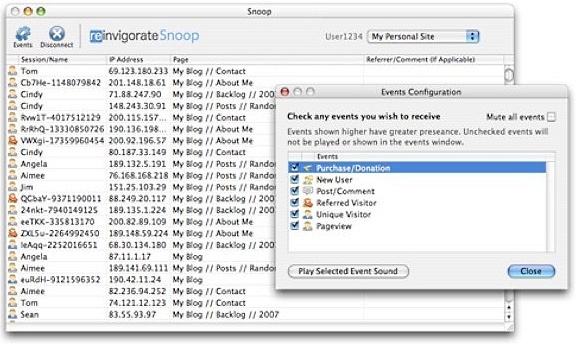 Those events can include details like a comment or a purchase: Snoop is integrated with Reinvigorate for more comprehensive analytics as well. That includes heat maps, live visitor tracking and a wealth of statistics, all available in real-time. The choice to use a desktop application, rather than an online tool, is a matter of what’s easiest for your workflow. There are some key benefits, like the fact that you don’t need to worry about your analytics provider’s website going down just when you need to print a report. Depending on the software you choose, you can also work with some features not available anywhere else, like TrakkBoard’s ability to combine reports from different Google Analytics accounts. In the end, though, the decision to use a piece of software running on your desktop, rather than online, is a question of what’s convenient for you. If you want to avoid logging into your account every time you want to check on your website’s performance, a desktop application is going to be easier to use. If you spend a lot of time on different computers, a web application may be a better fit. Thursday Bram writes about technology and small business. You can find Thursday on Twitter and on her own blog at ThursdayBram.com. Snoop looks like one of the best around. Although it’s been in beta for as long as I can remember. This is really an informative post.Hope Woopra’s analytics will be very useful for me. I’ve used Woopra in its early form, it was outstanding. I’d highly recommend Snoop for those small business owners looking to keep close tabs on your sales. Set up a basic funnel and this keeps you in the loop, real time, of what’s going on. Then get some enterprise analytics and you can trend the data and optimize for more sales. It’s addictive! I’ve used Deep Log Analyzer for 2 years (the pro-edition) and I must admit 200 bucks are not too much for this software considering unlimited number of domains it supports. I was a long time user of Woopra, but switched exclusively to Google Analytics. It looks like TrakkBoard might be right up my alley, so I can continue using the Google data that already exists. Being able to see multiple sites in the same screen. 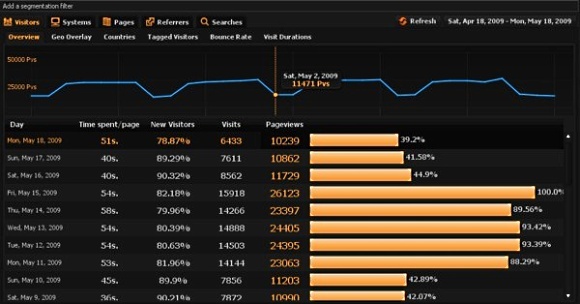 Woopra is nice of course.. but i personally think that google analytics will do the job just fine.